Vodafone has shown that it is getting aggressive when it comes to the iPhone 4S, with news that it has lowered its data plan pricing. The telco has announced that it has snipped a cool £120 from the price of its £26 a month 16GB iPhone 4S contracts, so that you now only have to pay £239 up front. If you want a 32GB version of the iPhone 4S, then you have to pay £359 (down £80) and it is £449 for a 64GB version – down £70. This is something of a desperate attempt from Vodafone to get its prices in line, given that it was far and away the most expensive network when it came to up front costs - the other networks were already offering the iPhone 4 for much cheaper on the same monthly deals. As with all contracts, the more you pay a month the less you pay up front and the pricing for the iPhone 4S has been lowered on the £31, £36 and £41 contracts. If you have decided to not pay anything up front for the iPhone 4S (on the £46 or £62 contracts) then you won't benefit from any discount. The price drops are the same for the 18-month and two-year contracts, with Vodafone explaining about the new prices: "We've looked at the offers available to customers and wanted to ensure we remained competitive. Whilst we've seen very good take up across all models of iPhone we want to offer the best value available. "We think that this, coupled with Data Test Drive, BuyBack, our collect in store service and our reputation as the UK's best Network, makes us the natural choice for iPhone customers." To see the full price changes, head over to www.vodafone.co.uk now. 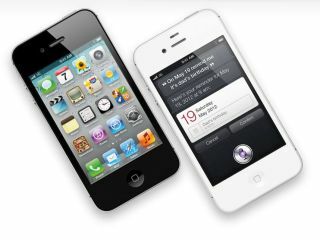 The iPhone 4S UK release date is 14 October.